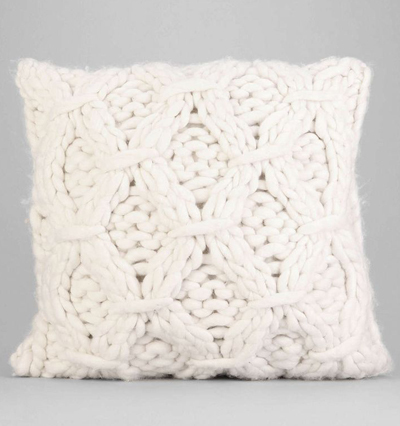 Get cozy with this overstuffed Cable-Knit Pillow with soft + fuzzy chunky cable knitting at the front and finished with woven back complete with hidden zipper. $49. Buy here.